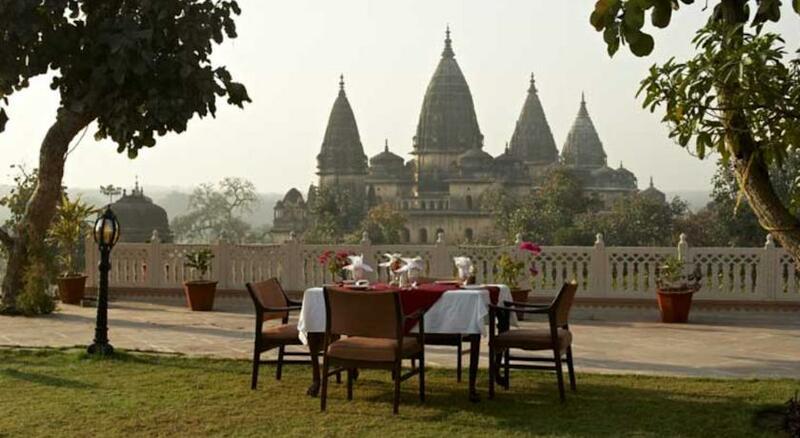 The hotel is built on acres of mounted land near the banks of river Betwa in Orchha. 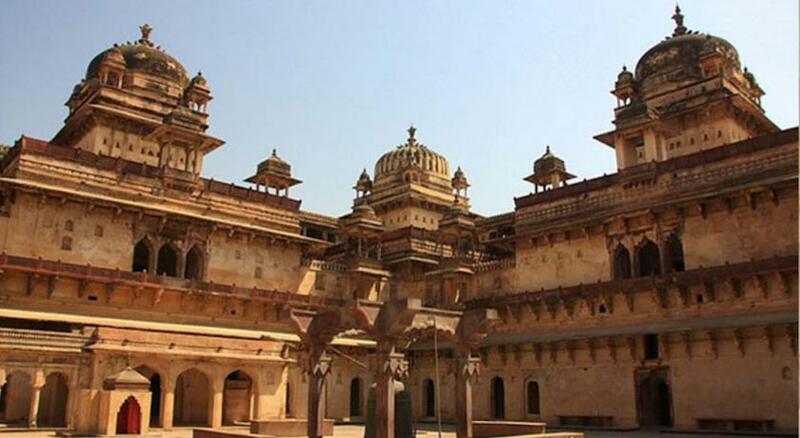 The palace stands high depicting the bygone era. 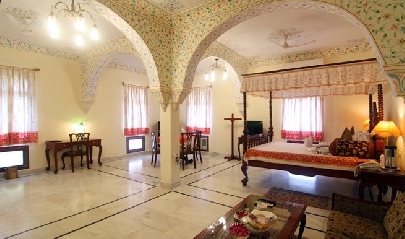 The present retreat is in addition to the old warm charm that dates back to 1895. 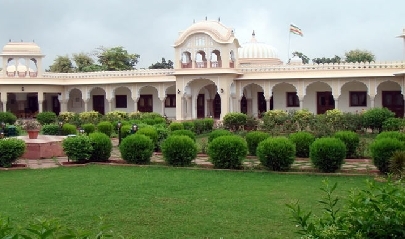 The architecture of the hotel depicts that of bundelkhand. 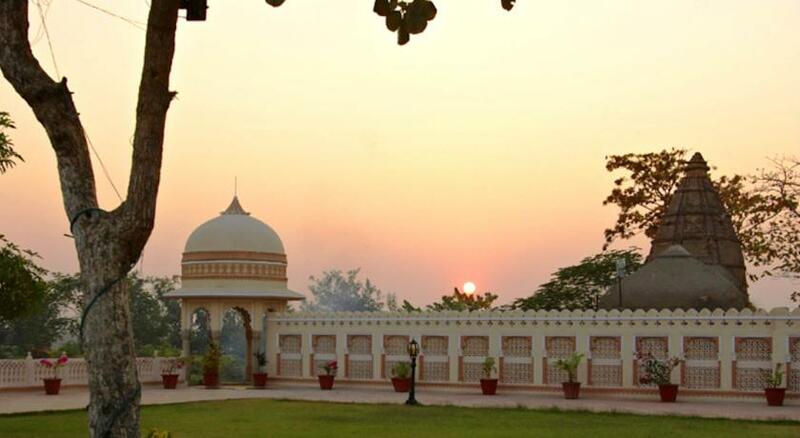 Amar Mahal is the perfect gateway to historical and natural splendor of the hotel. 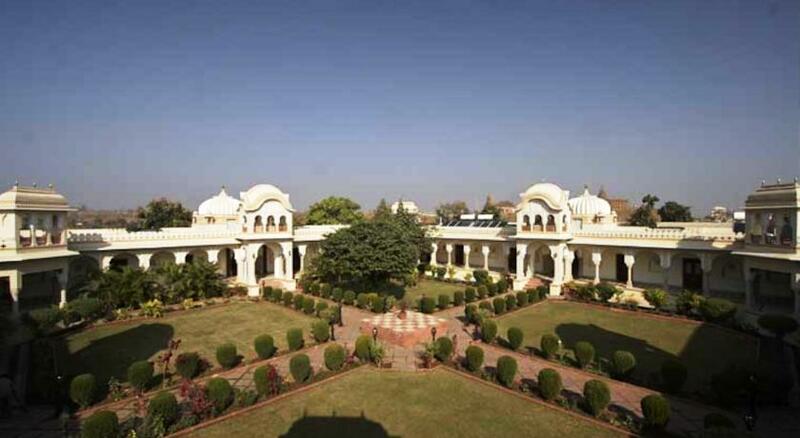 The hotel has 46 luxurious rooms and suites that offer stunning views of the lush greenery, beautiful monument and cenotaphs. 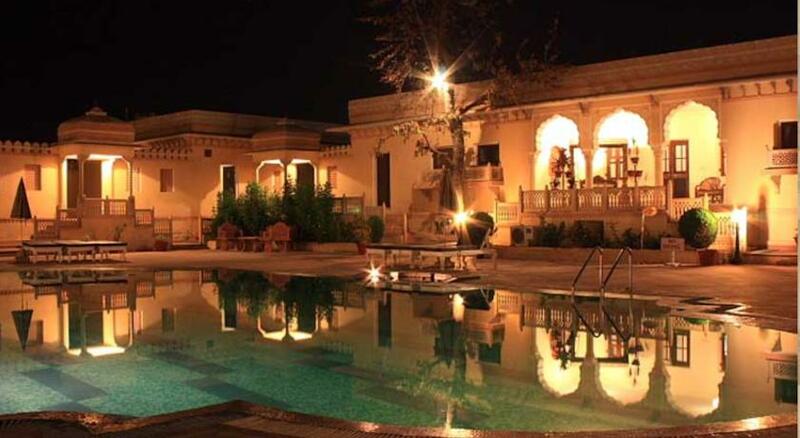 The hotel also has a multi-cuisine restaurant that serves the guests with gastronomical delights. 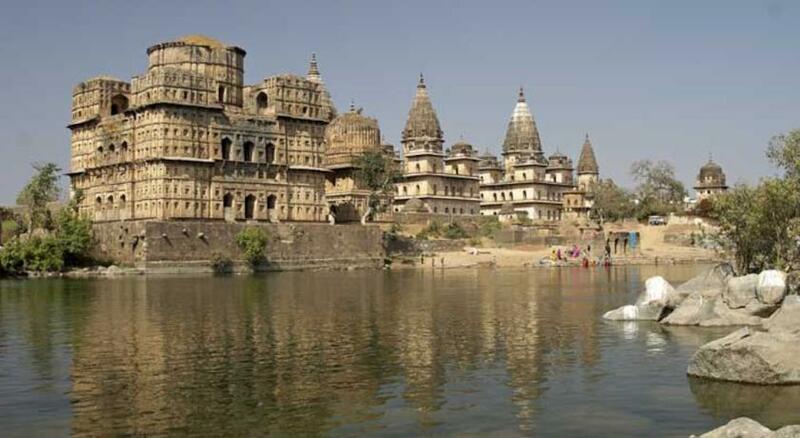 Orchha is ideal for a weekend getaway from Delhi, Kanpur and Bhopal and could also be covered as part of heritage tours along with Agra, Gwalior and Kajuraho. 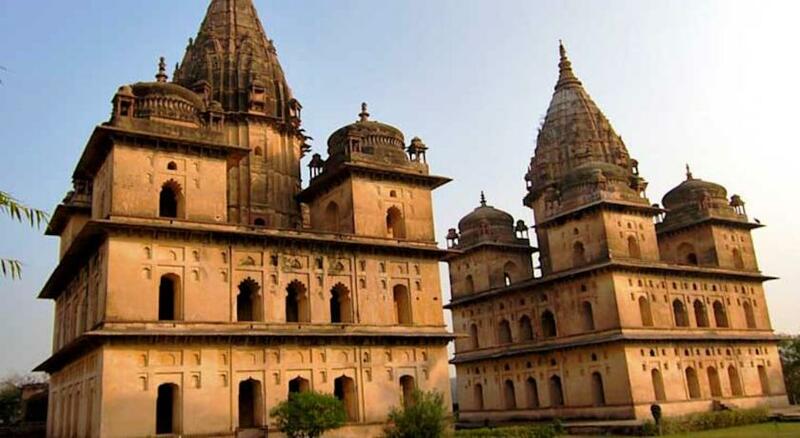 Some of the things to do in Orchha are trekking in the morning in fort campus, bird watching & rarest species Vulture sighting, light and sound show every evening in the fort campus, Arti ceremony in Ram Raja temple with guard of honor, Visit to taragram a local handicraft, cycling through the rocks and terrain, shopping, local village tour, Kerala Ayurvedic massage and river rafting. 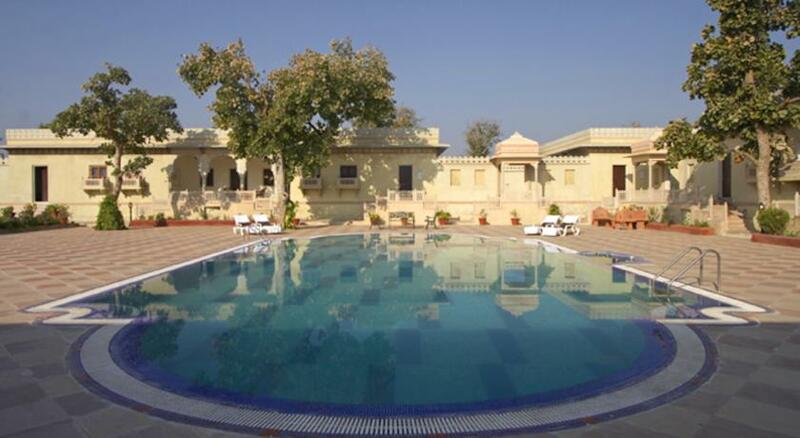 The hotel also has got Gym, swimming pool and travel desk to arrange for local travel. 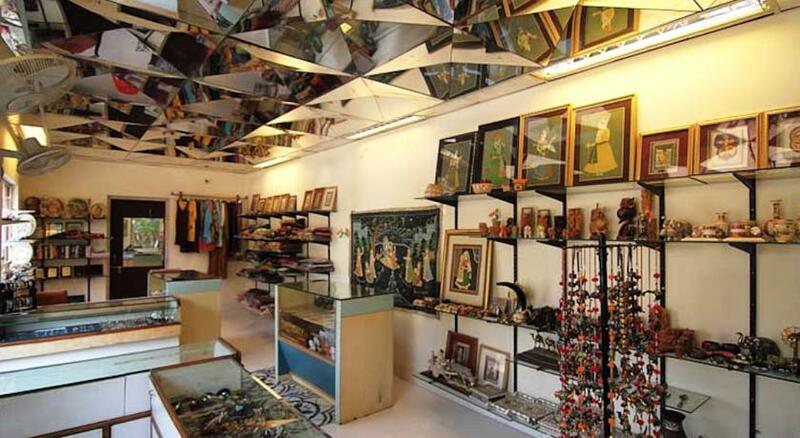 It is ideal for business and leisure traveler. 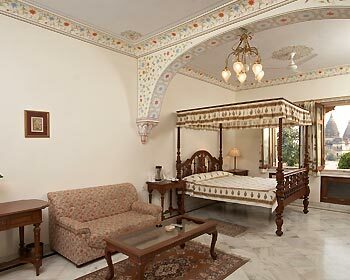 The well adorned, spacious rooms are ideal for your stay and to enjoy the royal stay with impeccable services. Apart from the rooms, some of the amenities provided are attached bathroom, 24 hrs hot/cold water, telephone with direct dialing, 24 hrs room service, telephone with satellite/cable connection, power back up, laundry/dry cleaning, car parking, safe deposit lockers, Wi Fi, Internet, smoking area, valet parking, airport transfer, concierge services and much more facilities. 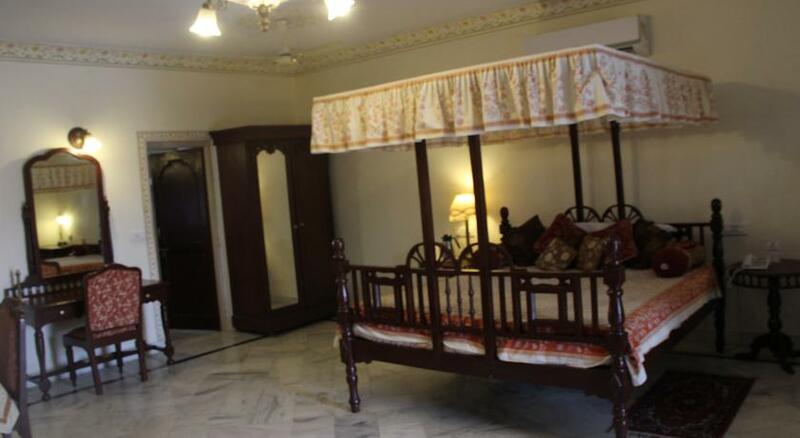 The well adorned, spacious and luxurious rooms come with impeccable services which makes you to enjoy the royal stay. These rooms are also provided with amenities like 24 hrs hot/cold water, attached bathroom, 24 hrs room service, telephone with direct dialing, power back up, telephone with satellite/cable connection, car parking, laundry/dry cleaning, Wi Fi, safe deposit lockers, smoking area, Internet, airport transfer, concierge services, valet parking and many other facilities to make the stay of the guests comfortable. 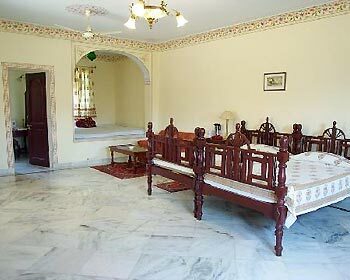 The elegant, well furnished, spacious and luxurious rooms come with impeccable services which make you to enjoy the royal stay. 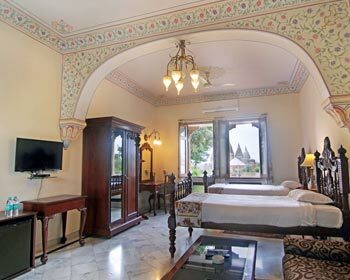 It is ideal for those looking for a royal accommodation to stay in the Super Deluxe Rooms of Amar Mahal. These rooms come with amenities like 24 hrs room service, 24 hrs hot/cold water, telephone with direct dialing, attached bathroom, telephone with satellite/cable connection, power back up, laundry/dry cleaning, car parking, safe deposit lockers, Wi Fi, Internet, smoking area, valet parking, concierge services, airport transfer and many such facilities to facilitate the stay of the guests. 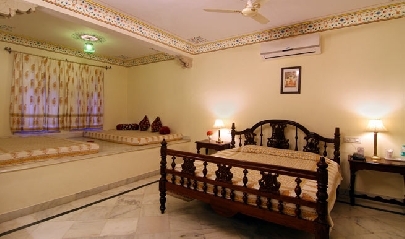 The elegant, well adorned spacious rooms provide you with the grandeur of staying in a royal palace and you are also provided with impeccable services. The rooms are provided with amenities like telephone with direct dialing, 24 hrs hot/cold water, 24 hrs room service, telephone with satellite/cable connection, attached bathroom, laundry/dry cleaning, power back up, safe deposit lockers, car parking, Internet, Wi Fi, valet parking, airport transfer, concierge services, smoking area and much more facilities. The elegant, well adorned spacious rooms come with a separate living area and a bedroom and are ideal to stay with your family. 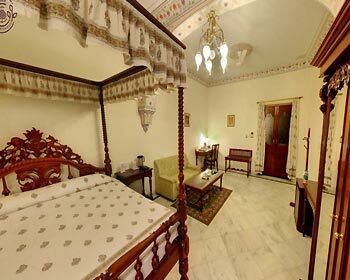 You can give your family the pleasure of staying in the palace combined with excellent services. The rooms come with amenities like telephone with satellite/cable connection, 24 hrs hot/cold water, telephone with direct dialing, attached bathroom, 24 hrs room service, power back up, laundry/dry cleaning, car parking, safe deposit lockers, Internet, concierge services, airport transfer, valet parking, smoking area, Wi Fi and much more facilities. 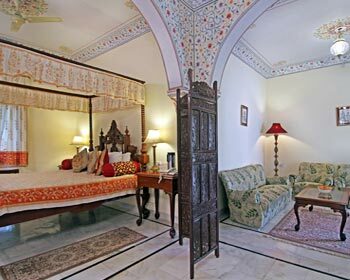 The elegant and well adorned rooms come with a separate living area and two bedrooms and are ideal to stay with your family. 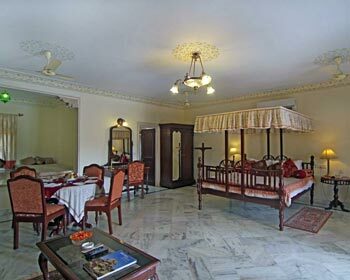 You can give your family the grandeur of staying in the palace combined with excellent services. The rooms come with amenities like 24 hrs hot/cold water, telephone with satellite/cable connection, attached bathroom, telephone with direct dialing, power back up, 24 hrs room service, car parking, laundry/dry cleaning, safe deposit lockers, airport transfer, concierge services, smoking area, valet parking, Wi Fi, Internet and many such facilities. 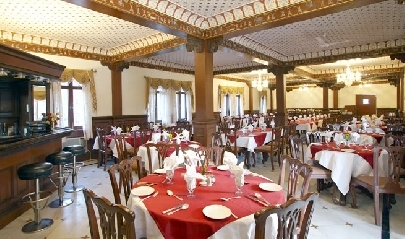 The 24 hours on-site Multi-Cuisine restaurant serves delectable Indian, South Indian, Chinese and Continental Cuisines. 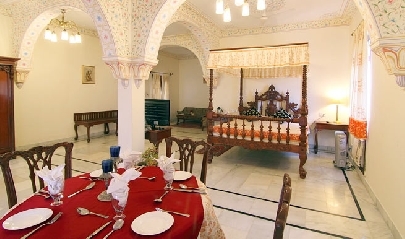 Dining at the Amar Mahal is quite splendid and brings back the grandeur of the royal dining. The food will be a feast to your palate and whatever you name it you will find in the cuisine. 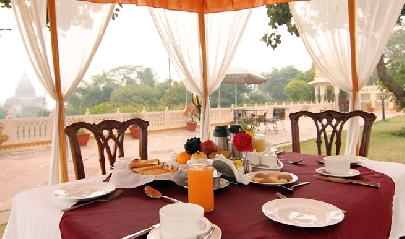 The royal dining experience is something which you will relish it forever.